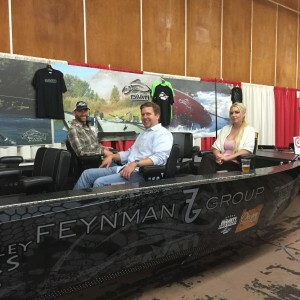 This past weekend I was lucky enough to attend the Pacific Northwest Sportsmen’s Show at the Portland Expo Center! I really enjoyed meeting so many new people as well as seeing some familiar faces. I always love getting a peek at the latest equipment and seeing first-hand what’s new in the industry, and this year did not disappoint! For those of you who didn’t get a chance to see Pavati’s new 2015 Destroyer, you missed out! This thing’s a beast! Big thanks to the folks at Pavati and Feynman Group for hanging out and to everybody who came by just to say Hi! Give me a call and let’s fish! Chinook are going to be crazy this spring!